John Armstrong is an Australian oboist and oboe maker who currently lives in Tianjin, China. He has worked for T.W. Howarth ( London) and the KG reed company ( Shanghai ) as well as developing his own oboe in Australia. John has also worked for Rigoutat ( Paris), Jinyin ( Hebei, China), Bailicheng ( Hebei, China). 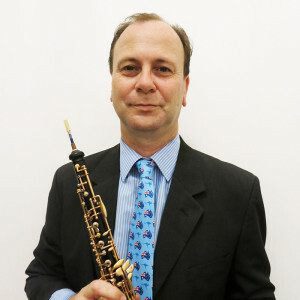 As an oboist, John started lessons at the age of 13 in Newcastlle, Australia and eventually attended the Conservatorium High School at the Sydney Conservatorium ( 1983-1984). His teachers included Pauline Strait, Josef Hanic, Anne Gilby, Michael Windfield (UK) and Barry Davis. He was a member of the Australian Youth Orchestra and also held the position of position of Principal English Horn with Orchestra Victoria ( Melbourne, Australia) for 11 years. John first started making oboes in 1989 when he worked in the Howarth oboe factory in Worthing, West Sussex, UK. After a 2 year trainee period John returned to Australia in 1991 and became Howarth’s technician and dealer in Australia. In 1992 he gained the English Horn position with Orchestra Victoria. In 2006 John resigned from professional orchestral playing and joined forces with oboe maker Tony Ward ( formerly of Boosey and Hawkes, London), producing a Continental-style Gillet system oboe for the Australian market- the Armstrong Ward oboe ( AW). In 2008 Kexun Ge convinced John to relocate his oboe making business to Shanghai in order to expand and open new markets. Since 2011 the first AW design has been re-named the “KG” oboe. Since 2011, John has been working on multiple manufacturing projects to help make oboe playing a more affordable and rewarding experience. In 2014 he re-launched AW oboes as Armstrong Werth after consulting with European oboists and dealers. His designs use quality imported and local components incorporating modern manufacturing techniques, mindful of tradition whilst being aware of current preferences for sound and response from todays oboists.